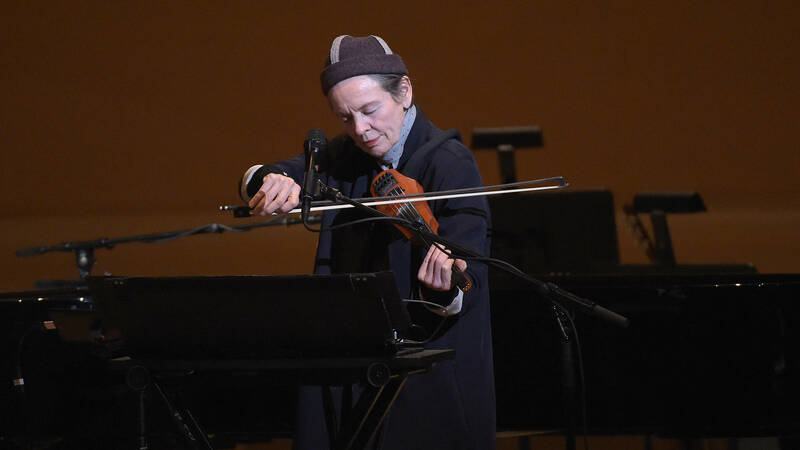 The fabulously eccentric performance artist and experimental musician Laurie Anderson is SFJAZZ's resident artistic director this season, and that's not the only thing she's been up to in San Francisco this year: she also collaborated with the trendsetting Kronos Quartet on an excellent spoken-word-meets-contemporary-classical album, Landfall, which came out in February. Anderson has several dates coming up at SFJAZZ, and not all of them are sold out. On Friday, Nov. 30, she's performing her late husband Lou Reed's Drone piece, a composition that hinges on droning guitar feedback. Anderson and Eyvind Kang will be on viola, with saxophonist Ulrich Krieger and guitar technician Stewart Hurwood accompanying them. Then, on Dec. 1, Anderson has a show called Song for Men (a complement to her sold-out Songs for Women show on Nov. 29). At both performances, which incorporate jazz, electronic music and storytelling, Anderson performs songs she's written for specific people in her life. At Songs for Men, Bay Area experimental composer and percussionist Scott Amendola joins Anderson on drums and electronics for a night of improvisation. On Dec. 2, Anderson collaborates with avant-garde guitarist and Mills College professor Fred Frith for Scenes From My Radio Play, "invoking hypnosis, memory, old juke joints, canoe trips and love." Details for the entire concert series can be found here.